We are a family based painting&decorating business Based in Goomeri in Queensland with crews currently working in the Gladstone and Wide Bay Burnett regions. Our business has been established since 1983. We specialise in the painting and decorating of old and new projects. We will take the time to make sure you are satisfied with our work and we will give advice on your project. Caleb started his Painting trade in 1977 and has since taught and apprenticed both his son and daughter and they are now both Trade qualified Painters and Decorators and are based in Gladstone and Wide Bay Burnett region, mainly working on new buildings. As a family based business we all take personal pride in our work and each job is not complete until we are all satisfied that nothing has been forgotten and that the client is happy with it. "We are the best because we care." 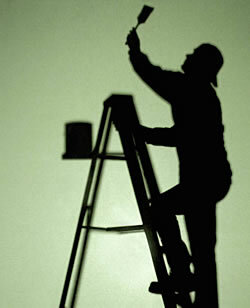 Please click here to contact us for a quote on your next painting job.